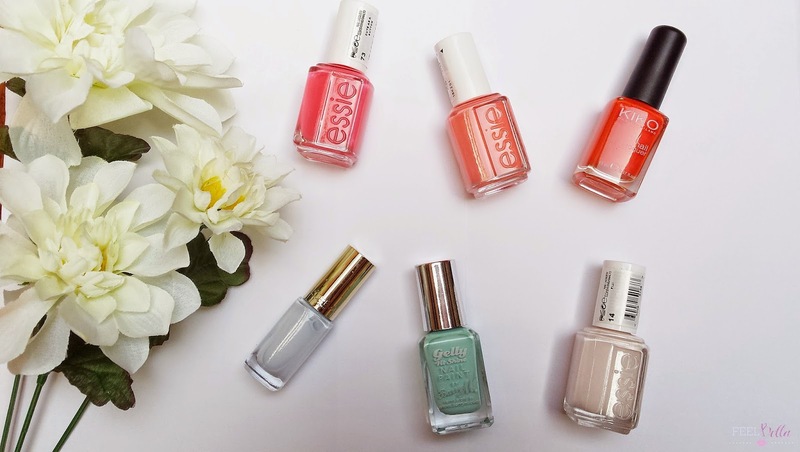 Get your fingers and toes ready with these gorgeous nail colours. 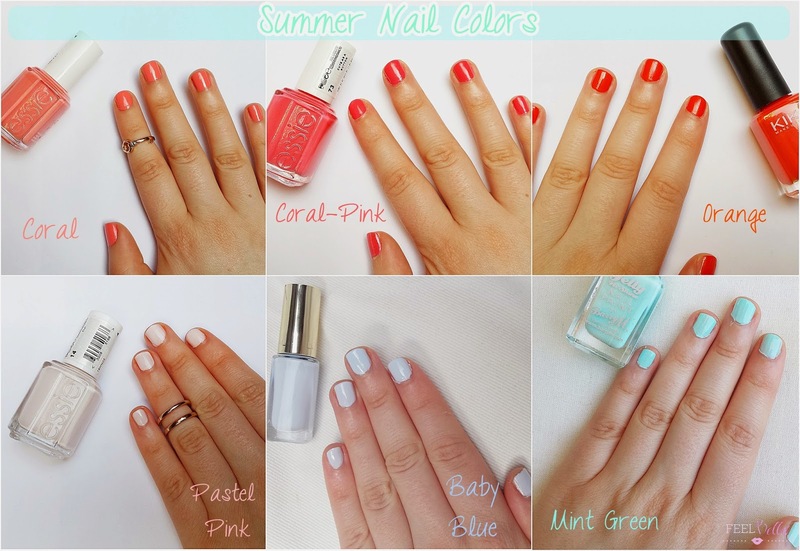 Corals and pastel shades look great on the nails during summer time. 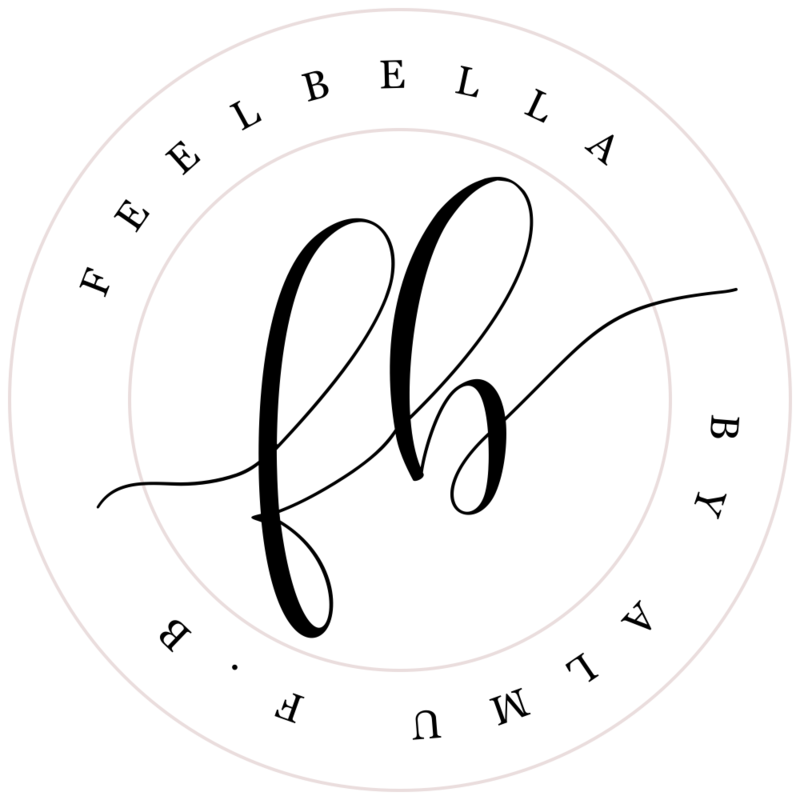 I like to wear two different nail polish colours on my fingertips and toes, these colours are great to combine and pair to create a fabulous summer mani-pedi pairing. Here six nail polish colours perfect for this season. 13 comments on "SUMMER NAIL COLORS"
All of these colors are so pretty. My current favorite summer nail polish shades are white, coral and orange. Essie Fiji is a beautiful color, really classy. I prefer red, blue and pink on my nails, but it's a great color. Love the Essie coral pink shade! Lovely shades! Love your blog!